Following the demise of the gloomy, gothic, post punk heroes the Birthday Party in 1983 leader Nick Cave went forth with the Bad Seeds, somewhat of a supergroup, in a sense of the word, featuring ex members of Magazine, Einsturzende Neubauten, and of course the Birthday Party. Several fabulous releases ensued such From Her to Eternity, Kicking Against the Pricks, and The Firstborn is Dead where no subject matter in Cave’s lyrics was too taboo to touch upon, as most of them dealt with something in the realm of love, religion, death, violence and the all around seedy underbelly of human nature with a darkly bluesy backing, with a rockabilly and gospel underpinning. Tender Prey was recorded during a period of great difficulty during Cave’s life, and to some degree his tough times were documented on the overall vibe of the album. Cave poured out his heart and soul on the weighty and somber piano ballad “Watching Alice,” with guest guitarist Hugo Race, but it isn’t until the bleak harmonica sets in where the track truly rips out the listener’s heart and stomps on it. It’s is with numbers like these that show that not only was Tender Prey one of Cave’s finest moments as far as a singer/songwriter goes, but was also was one of the best instrumentally for the Bad Seeds as a whole, with the bleak and melancholy state their sounds induced. 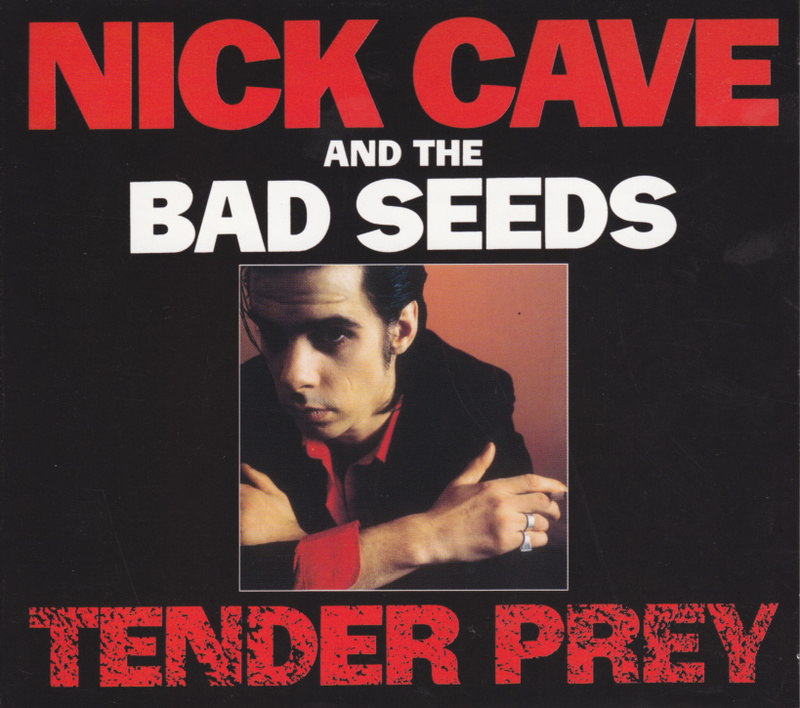 Tender Prey seems like a story or chronicle in some way and from the beginning of the album a dark storm cloud begins to brew, but it is isn’t until the fifth track, “Mercy” to where it begins to drizzle with Blixa Bargeld’s shivery slide guitar and Wolf’s backing vocals. From numbers like the Blind Willie Johnson inspired “City of Refuge” onward, a state of a bleak Western hamlet cut from the cloth of Ennio Morricone is put forth most notably with all the gooey organ licks making Tender Prey tantamount to a sonically ingested drug which can numb even the most crippling of emotional pain. via Nick Cave and the Bad Seeds : Tender Prey : Treble: Music news, reviews, interviews and more.